The whole concept of “new year, new you” might seem silly to some people, but, for others, it’s a really great reason to try new things, shake things up, and come out of our shell from the previous year. For many, it can be as easy as getting some new pieces for our wardrobe, or it can be as life-changing as finally deciding to go for that dream job we’ve always wanted. For those of you who are thinking about changing things up from your regular look, one of the most effective and fun ways to do this is to change up your hair. Whether it’s chopping the whole thing off or switching up your hair color, a new ‘do is a great way to embrace a new side of you that you’ve never seen before. If you’re thinking of switching up your hair color, there are certainly a few options that are already making waves in the hair industry. We’re only one month into 2017, but this specific hair trend is already well on its way to being one of the most popular of the year. If you haven’t heard of it already, it’s called tiger’s eye hair coloring. If you want to know more, read on to learn about one of the hottest trends for hair, right now, and find out if it’s right for you. Tiger’s eye hair coloring is a tribute to tiger eye stone, which offers stunning patterns of brown, gold and reddish tones. When it comes to using this color sequence on your hair, it’s all about asking for caramel highlights mixed with dark chocolate browns so it doesn’t come off as too bronzy. It is said that the tiger eye stone has healing powers, so, aside from looking gorgeous, you also might appreciate feeling like some weight has been lifted as you start your new year. There’s nothing wrong with gaining a little more confidence, willpower and good fortune! This style of hair coloring is similar to the balayage, which utilizes a free-hand painting approach that looks great on all kinds of hair styles. The tiger eye colors are blended throughout the hair, and individuals have the choice of coloring the roots as well. Either way, the blending of colors grows out very well, so there’s no need for worry that it won’t look right in a few weeks. To create this look, there are a handful of steps that need to be followed carefully to achieve the appropriate look. The first is to prepare all of the hair dyes properly, and then have them set up and labeled so that you can follow a certain pattern of your choice. Next, part the hair into a small section that you can work with individually. This is very important to the balayage technique, and it ensures that each section of hair will be colored equally. Having too much on one side or the other can ruin the natural look that the colors should have. 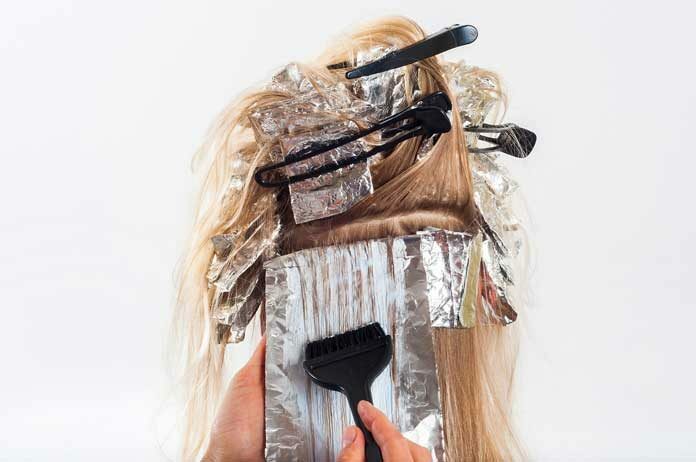 For each section, pull out small pieces of hair for coloring. If the pieces are too large, the colors will end up looking chunky instead of blended. You can use a coloring brush, if you’d like, but it’s preferred that stylists use their hands for this process. If you are using your hands, be sure to wipe the coloring off before switching colors. For the tiger eye style, the most important feature is that the tips and ends are heavily saturated in color, and that it gradually fades as you move up the strand. Begin at the bottom of the hair strands and slide the color upward, being sure to move up and away at the end of the strand to avoid a harsh line that will ruin the look. Make sure to keep changing between colors, whether you have a specific pattern you’re following or not. Distributing the colors throughout will ensure that you get a colorful arrangement that is balanced, as opposed to being heavily saturated in a dark, chocolate brown, or a bright caramel. Every year we are exposed to new hair trends, whether it is from the fashion world or an experiment gone right with a friend. For some of us, not every hair color is flattering or suits our style, so it’s hard to go with the trends when they make you feel uncomfortable. For example, pastel pinks and purples have been very trendy recently, but this look is certainly not for everyone. The great thing about tiger eye coloring is that these are some very rich, agreeable colors that complement all kinds of hair styles and all types of skin tones. Chocolate brown on its own would usually complement darker or olive skin tones, while a caramel might be better for lighter skin tones. However, the blending of the two makes this style perfect for everyone. The other great thing about this blending of colors is that it can look professional or fun, youthful or mature, depending on how you style the hair. Because the colors fade as they work their way up, this is a great option for anyone who is nervous about their first coloring or making a big change. To ensure you’re going to love your look, trust your hair to an experienced hair salon that knows how to create the tiger eye hairstyle. Trying to create a look like this from home may not be the answer, especially for certain hair colors, so trust your hair to the experts. Tiger’s eye hair coloring is the latest and greatest in a trend of soft, natural hair styles for this calendar year. If you’re thinking about making a change, consider this style to create an eye-catching look that you’ll love all season long. Sophia Jackson has been a resident of Buckhead for 10 years. When she’s not busy styling the hair of Atlanta’s elite, you can find her shopping in trendy boutiques or sipping bubbly at a concert in Chastain Park.